During the winter, common illnesses like colds and flus often cause trips to the drug store to find over-the-counter remedies and medications to combat the sickness. One of these is Vicks Vapo Rub, whose ability to sooth is astounding. However, there are far more uses for this awesome medication than you may have considered. If your muscles are sore and ache from a hefty workout, try applying a layer of Vicks on the area with a warm towel. It will not only relieve your pain, it actually helps muscles recover faster as well. With pets in the house, there are certain rooms and areas that are off limits to them. To keep your pets from ruffling though things you may not want them to, just leave a jar of Vicks open in the room you want your pets to avoid, and the strong odor will alert them to stay away. Perhaps you’ve run out of Neosporin, and can’t make a trip to the store. 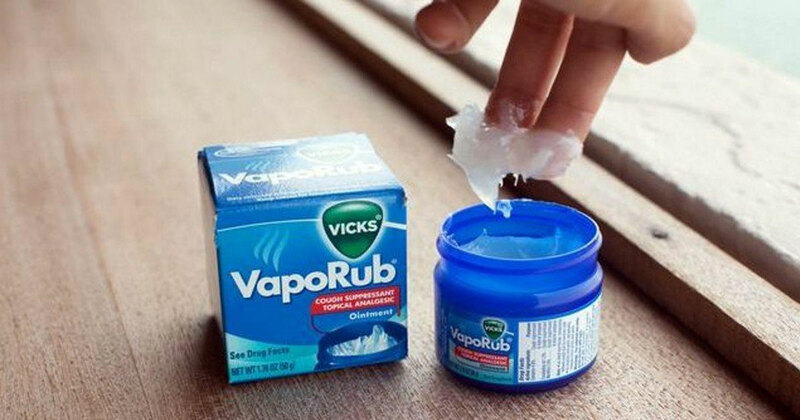 Simply spread a thin layer of VapoRub on the wound to speed up healing. Plus, it will even defend you from germs and bacteria. As headaches can hit at any time, you may not ever be fully prepared for them. By rubbing a little VapoRub under your nose and breathing deeply, the menthol will help stop your headache. Because heels and hands are prone to dryness, especially in the winter, skin can crack more easily. 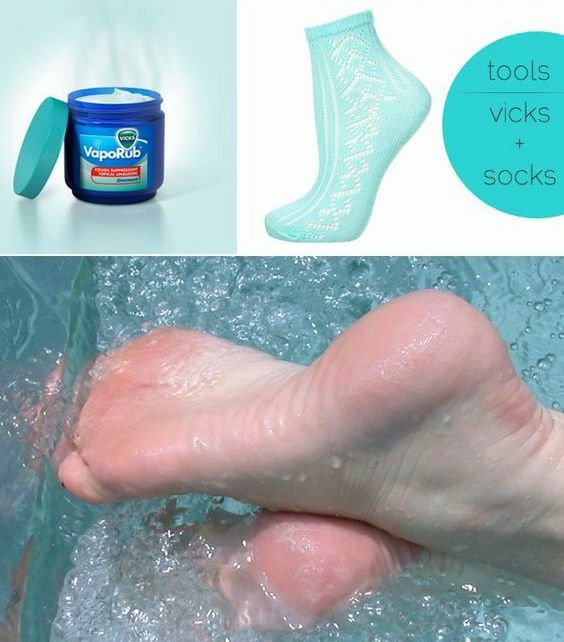 Don’t deal with the pain, instead use Vicks to hydrate your skin a couple time each day, laying with socks or bandages, and the cracks will heal quickly. Bruises are never fun to deal with, especially for kids. The next time you get one, mix VapoRub with a pinch of salt and apply to the area. It will ensure the bruise breaks up and heals quickly. 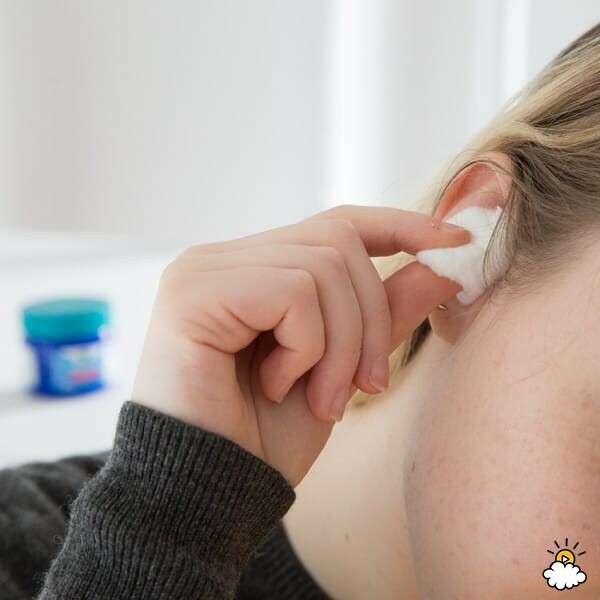 Earaches can absolutely ruin your day, so many swear by this method of placing VapoRub in the affected ear. Bugs are pesky to deal with, but most bug repellants have a terrible smell. Try applying VapoRub to any exposed skin instead to repel mosquitoes and other insects.